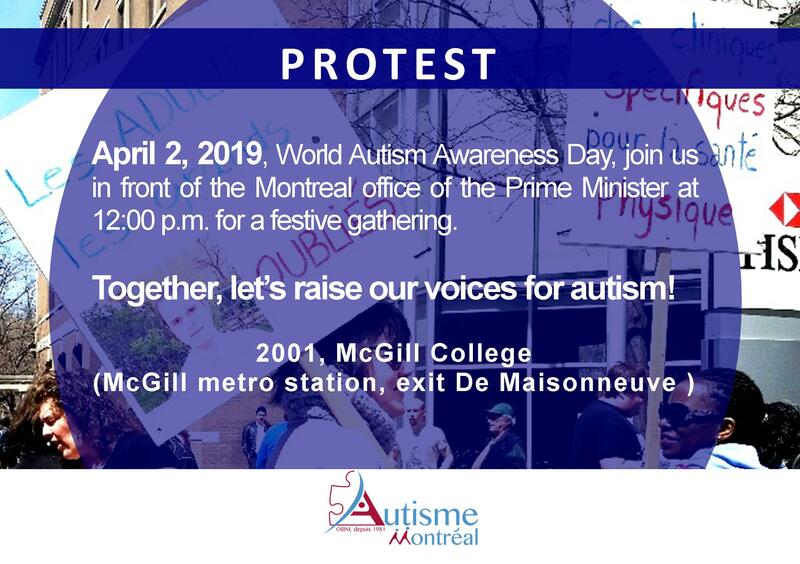 On Tuesday, April 2, 2019, World Autism Awareness Day, join us in front of the Montreal office of the Prime Minister, Mr. François Legault, for a festive gathering. 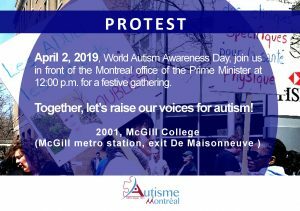 Given the exponential increase in the number of individuals with autism and the problems noted in the health and social services network, it is URGENT TO TAKE ACTION! 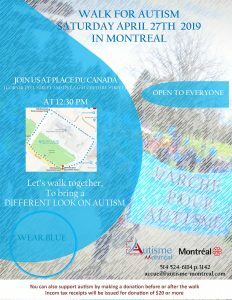 Together, let’s raise our voices for autism! 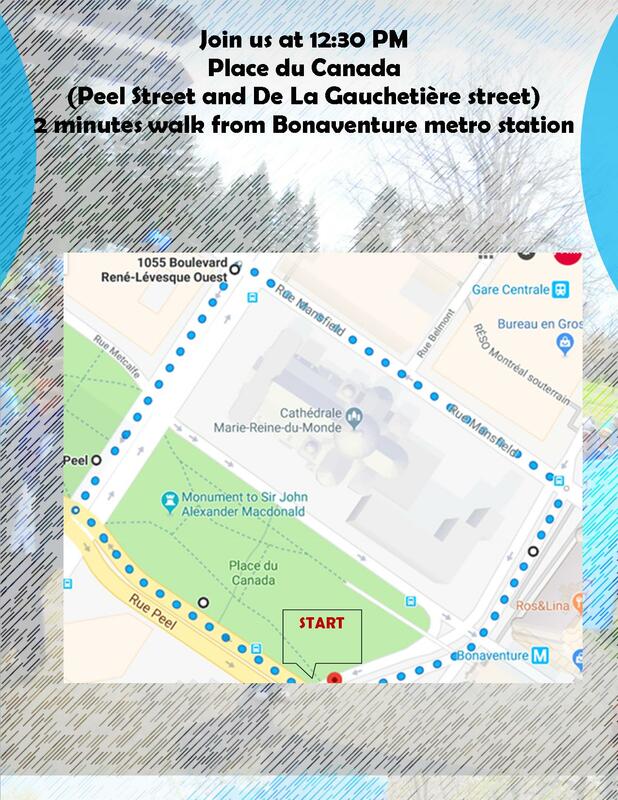 Therefore, we will be expecting you in large numbers at 12:00 p.m. at 2001, McGill College (McGill metro station, exit De Maisonneuve ) to make ourselves heard! 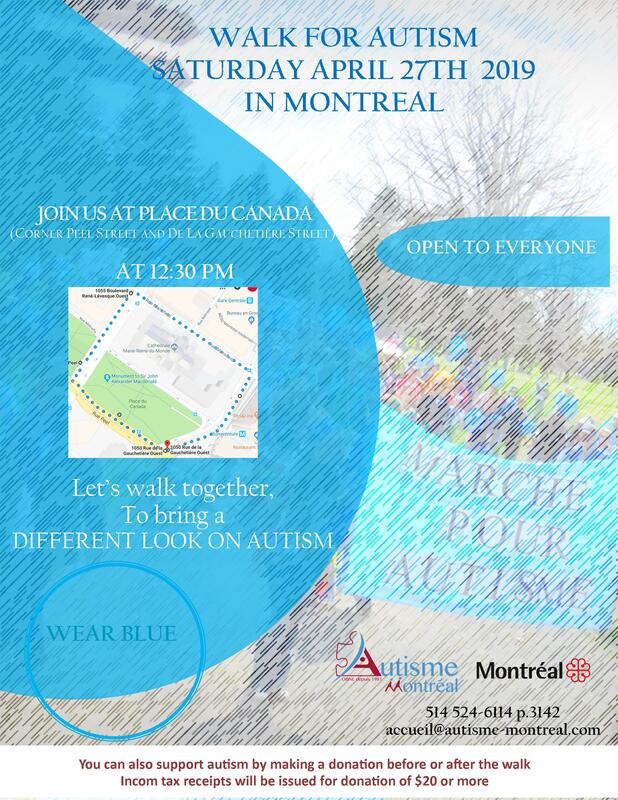 Join us at Place du Canada, at 12:30 p.m. to take part in the Awareness Walk for Autism. 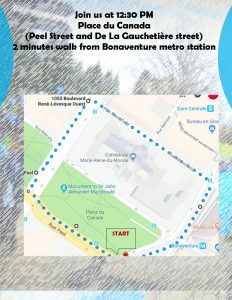 Children, parents, friends and professionals are invited to join this walk. Come in large numbers and wear blue. Place du Canada (Peel and De La Gauchetière streets), Bonaventure metro station. To register, please contact us at 514-524-6114, ext. 3142.